We've always been told not to play with our food. But these guys have done just that - and turned dinner time into art! 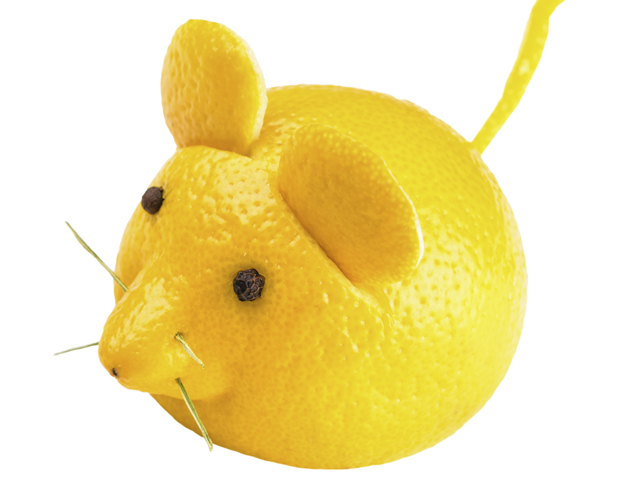 These friendly foods will bring a smile to your face and your plate! 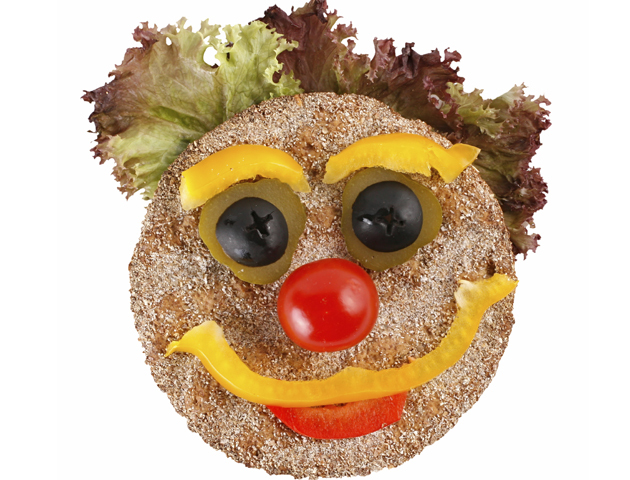 A happy chappy made with vegetables and bread. 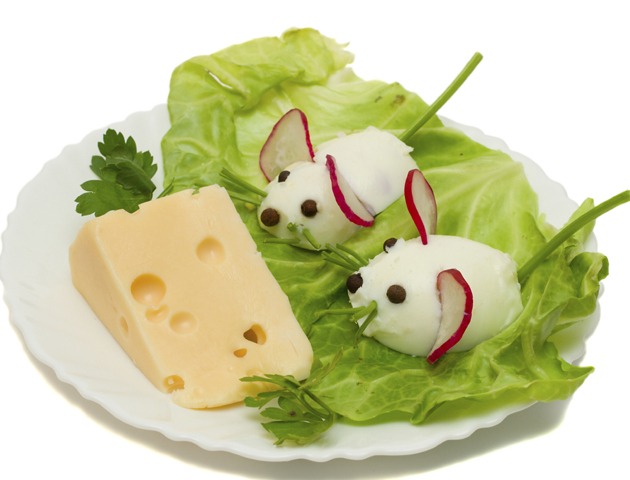 The main ingredients to make these mice are two boiled eggs, radishes, lettuce and cheese. 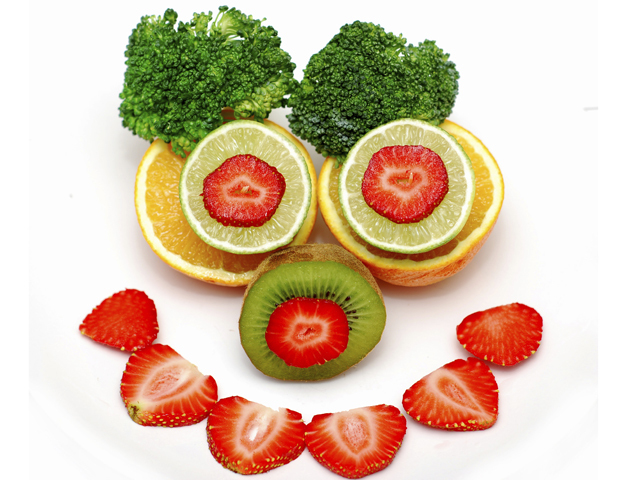 A variety of fruit to create this smiling face. We like his bushy broccoli brows! 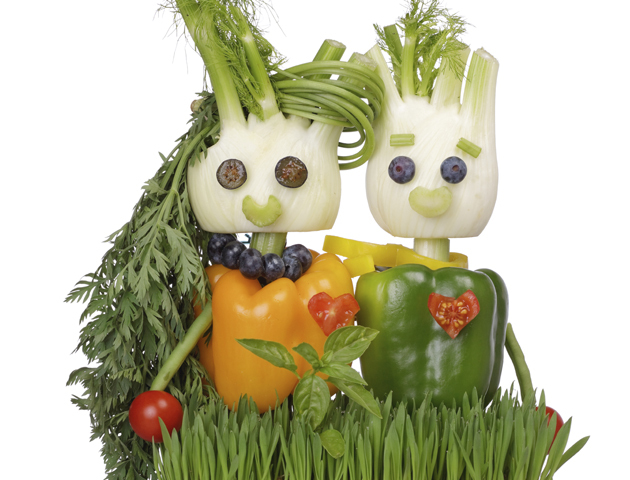 To make this vegetable couple you will need, peppers, cherry tomatoes, fennel and herbs. All you need is clementines and cloves. 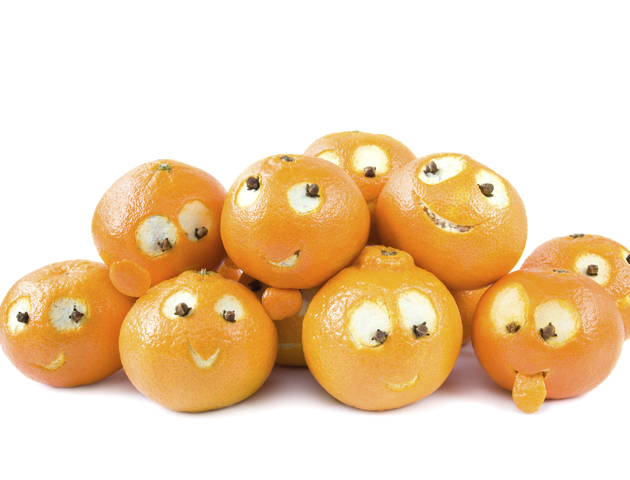 Cut out the rind of the clementine to create the eyes and mouths. Then put the cloves into the eyes, it’s that easy! Not really made from frogs – just made to look like one! Burgers will never be the same again. 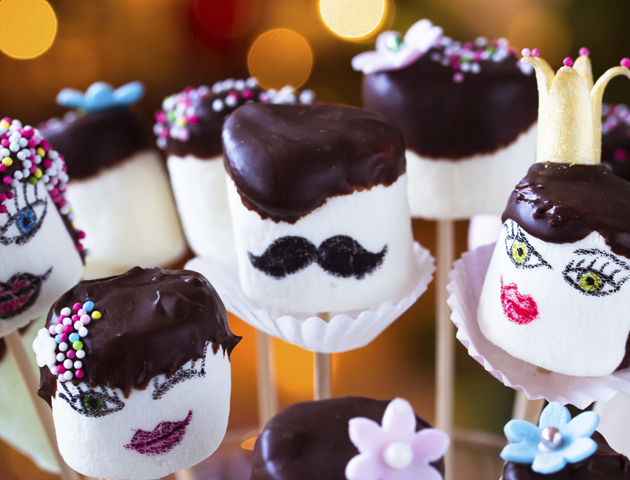 Look what can be done with a little bit of melted chocolate and food colouring. 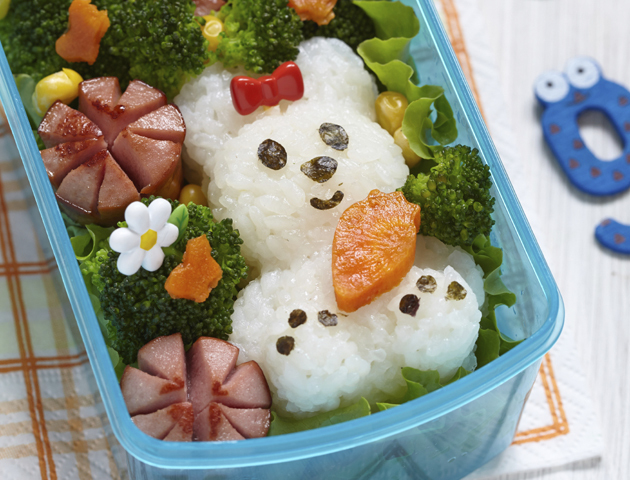 Who doesn’t want a bear made out of rice, we this bento box made with rice, sausage and veg is genius. Perfect for the Hungry Caterpillar fans out there. 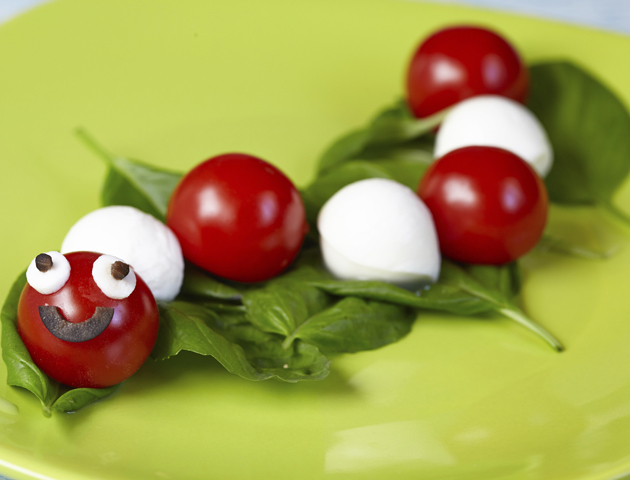 All you need is cherry tomatoes, mozzarella balls, baby spinach leaves and an olive for the face. 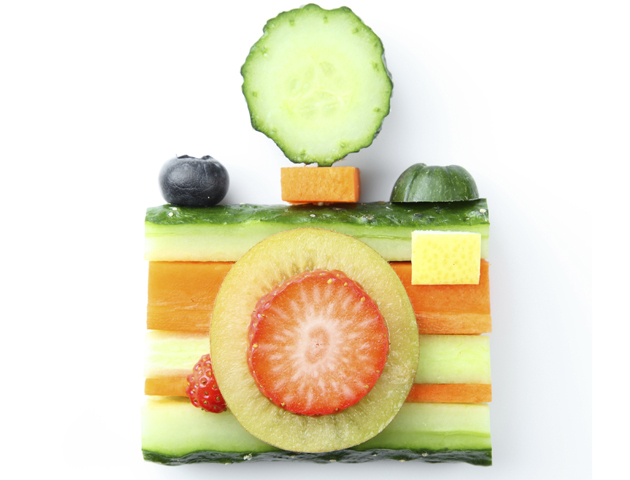 You’ll be snap happy with this colourful fruit and veg creation! 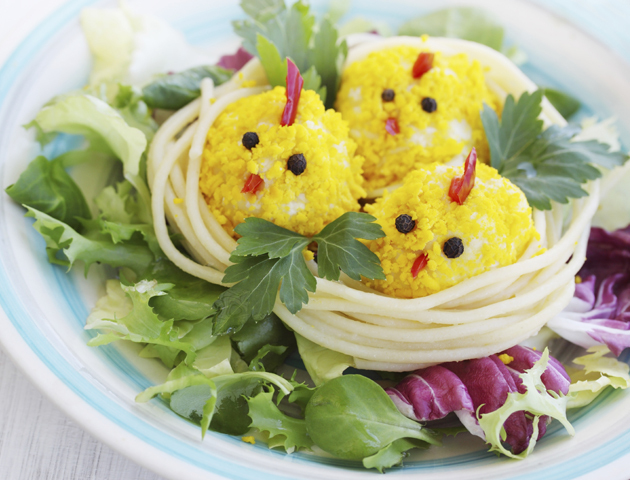 This meal is full of the joys of spring. 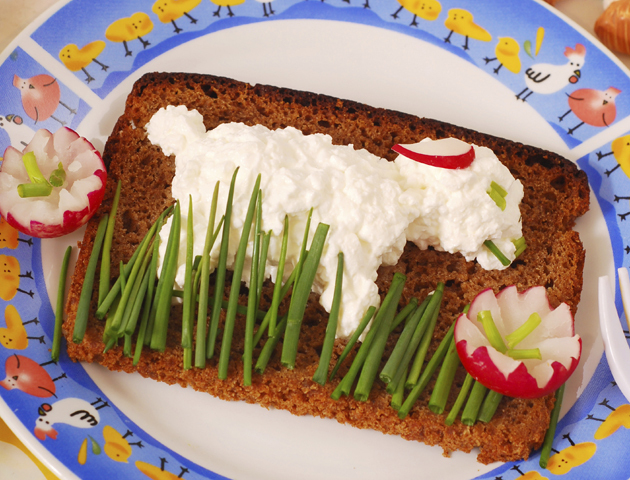 You can make your own using toasted rye bread, chives, cottage cheese and radishes. 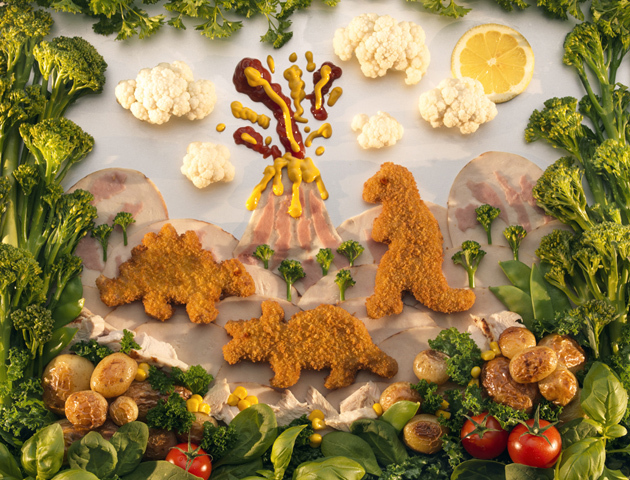 This prehistoric scene is great for your little explorers, you can create your own dino worlds with these turkey dinosaurs. 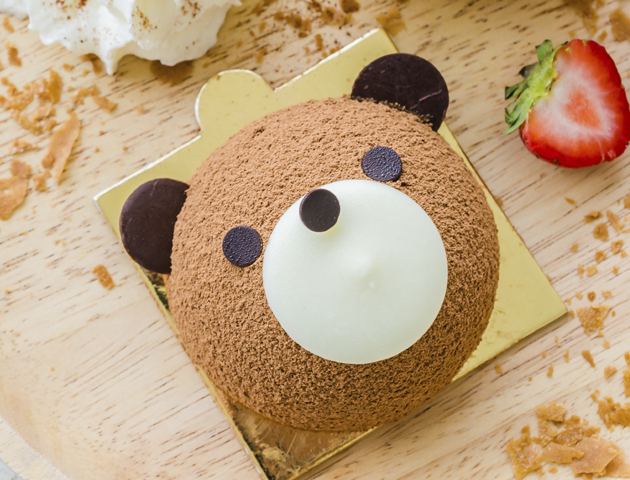 Make your own frozen dessert bear using, chocolate ice cream, chocolate buttons and a meringue. 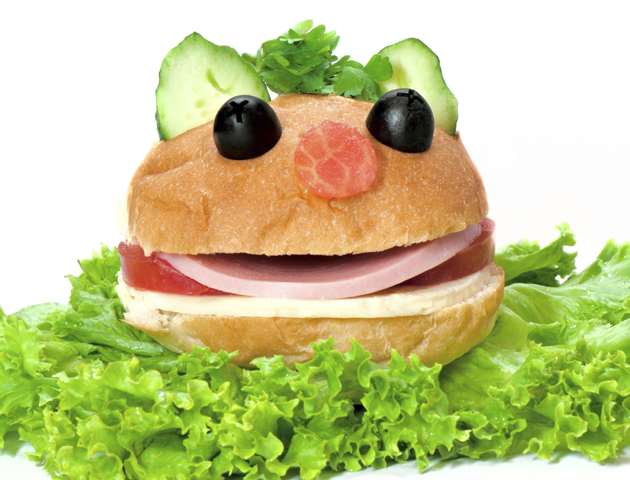 Ham rolls can be a little boring but creating this will make that a thing of the past. 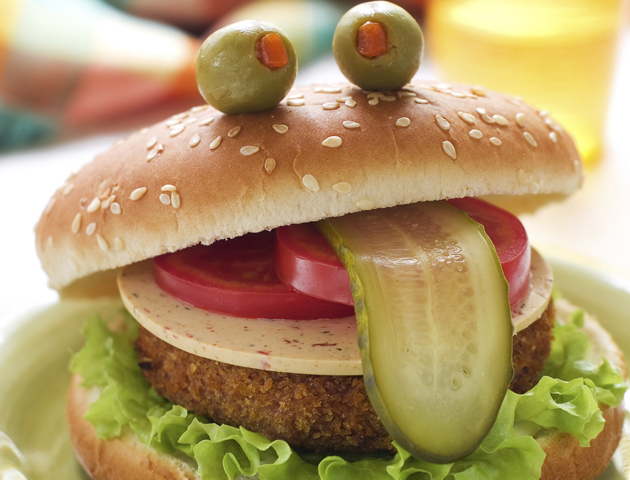 To create this you will need, cheese, ham, tomato, cucumber, olives and lettuce.  This one is more of a decoration, but still super easy and fun to make. Just like the clementines, cut part of the rind to create the ears and tail and use cloves for eyes. 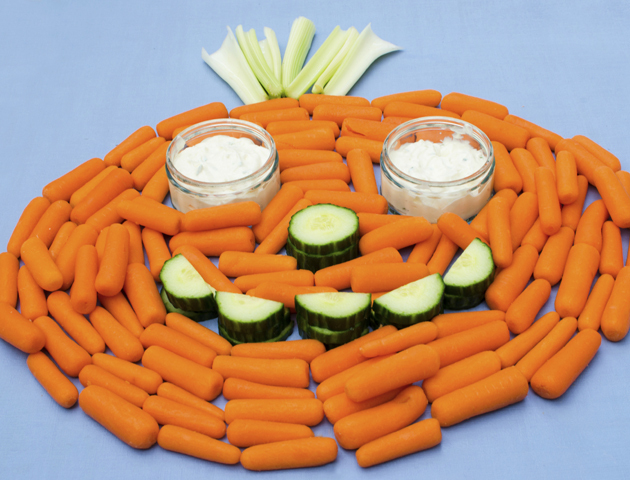 One to remember for Halloween, but this is a fun way to share some healthy snacks, when you’re fed up of sweets. For this creation you will need, salad leaves, spaghetti, pepper corns, tomatoes, mozzarella balls sprinkled with cheddar cheese. Cheep recipe or what?! Which one of these fun friendly foods are you going to make first?